1 Story Rambler on almost 1 Acre! Rare -Lots of space but almost in town large single story home. 3 bedrooms 2.5 baths, living room, family room, LARGE Bonus Room, Dining Room with built-in hutch, Breakfast Nook, Large Laundry Room, Food Storage Room, Master Suite with walk-in shower, jetted tub, walk-in closet with built-in organizers. Double sided fireplace and built-in bookcase in Living/Family rooms. New back Deck, New Front Porch, New Paint inside AND out! 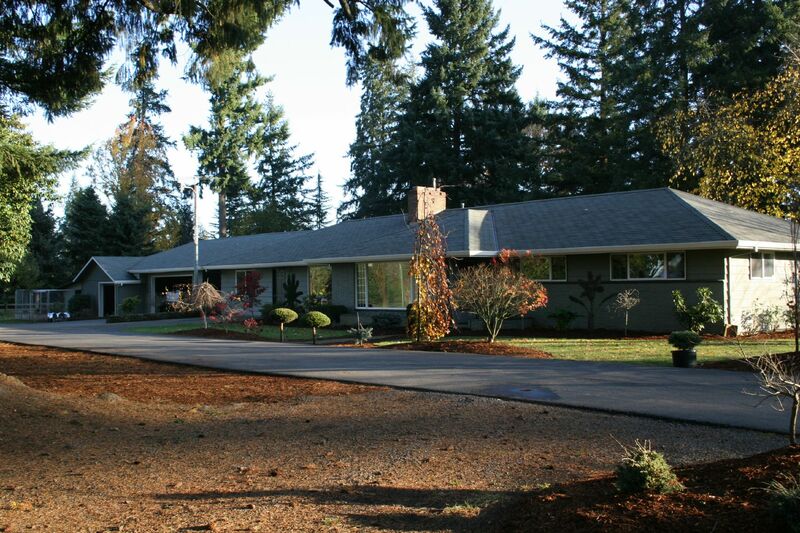 Large 2 Car Garage attached by breezeway, additional 1 car garage, additional wood storage area. Above ground swimming pool with heater. LARGE yard! Beautiful mature landscape - gorgeous maple trees.